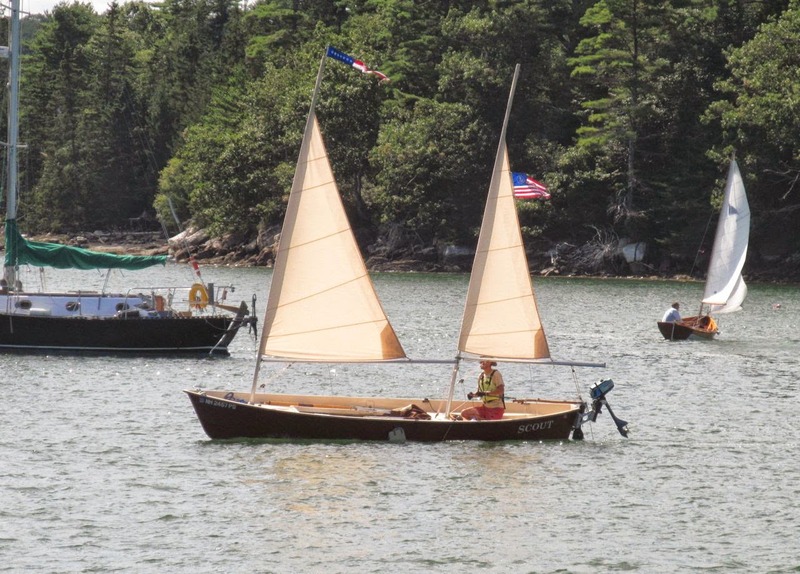 Goat Island Skiff Amateur Style and the Sea Pearl 21 Too: SUCCESSFUL DRY FIT!!! SHE STANDS ON HER OWN!!! OH HAPPY DAY! She'll slice you in two! AAAARRRRGGGHHHHHH!!! Flash made BH1 and 2 darker than they are. The last one here is through the transom hole. Everything is almost perfectly level and/or lines up. Seat cleat on transom to BH4 for example, BH1 and BH2, transom and the sides etc. I used 1 1/4" drywall screws with plywood backing on the heads. My notches are all mostly too big, epoxy will have to fill them. Also, my bevel on the transom was a little too much, but it will be easy to plane down. SHE LIVES! SHE LIVES! LONG LIVE MY BEAUTIFUL BOAT! POSEIDON BE PRAISED! yay now get her in the water before it freezes!